Publications Journalism - Welcome to Mrs. Dudek's Class Page! Journalism Training Modules Video tutorials, quizzes, lesson plans and other resources to help students learn core journalism concepts. Although the modules can be completed in any sequence, I encourage you to begin with journalism fundamentals. Click on the images below to get started. GatorGazetteGHS.wordpress.com is Gateway High School’s Newspaper website. It includes, not only the current issue, but also an archive page with links to previous editions dating back to December 2015. Click Below to view! 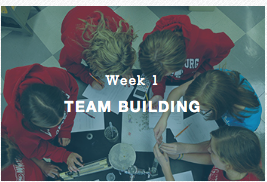 These class-length lessons give students the resources to build a cohesive team with a strong knowledge base. By the end of the units, students will not only have knowledge on a range of journalistic topics, but will complete computer spreads, have a collection of photos to use on future projects, and folders of inspiration content for reference. £ Choose or design a cover. £ Design endsheets if customizing them. £ Set up ladder. 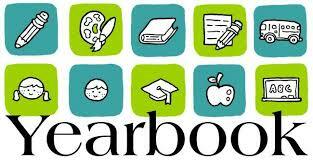 See Yearbook Kit and Yearbook Avenue®. £ Prepare press passes so administration, teachers and other students know who staffers are when they are out of the classroom on assignment. £ Inventory equipment like cameras, memory cards and printer toner cartridges. £Do lots of team building activities. £Set up ladder, if it has not been done. £ Decide which pages will be submitted each deadline. £ Assign pages to students. £ Look at school calendar for events to cover and vacations that interfere with deadlines. £Continue team building activities. £Create layouts. £Submit any completed layouts (yes, this can be done before a deadline). £Continue team building and skills training. £Discuss book sales/budget with your rep. £Submit all complete pages before winter break. £Continue team building and skills training. £Complete and submit pages. £Recruit staff for next year. £Submit pages. Remember, we guarantee that your book will ship on time if you submit your pages on time. £Take photos for Extended Edition (aka Spring Supplement) if you are producing one. £Begin theme development for next year. £Begin training next year’s staff. £Schedule fall portraits and re-takes with photographer and administration if it is your job. £Do a budget planning session with your rep. £Plan distribution party. £If using YearTech Online, in Image Library, indicate photos that should be transferred into next year’s site for use. £Save favorite photos from the year for distribution event and/ or use on promotional materials next year. £Continue training next year’s staff. £Take notes on distribution event: What worked well/didn’t work well? £Most fall delivered books have their final deadline. £Get portrait CD from photographer (usually within 1–2 weeks after retakes). £Send portrait CD to Jostens so we can upload it. £Conduct yearbook advertising push and first sales push during registration day if possible or 1st/2nd week of school at latest. £Upload student list including (in separate columns) student first and last name, grade, student ID number, homeroom, address and parent email to Yearbook Avenue. £Enter in-school yearbook sales into Yearbook Avenue. £Choose or design a cover if it has not been done. £Train staff on journalism basics: caption writing, photography, layout by using Start Right Units or 7-Minute Starters from the Digital Classroom on Yearbook Avenue. £Take LOTS of photos and upload them to Image Library.